Till the present judgement was pronounced, there were conflicting views on the issue held by the Hon’ble Supreme Court, in the form of past judgements by various Benches of differing but lesser strength. This includes the three-Judge Bench judgement of the Hon’ble Supreme Court in Sun Export Corporation, Bombay v. Collector of Customs, Bombay (1997) 6 SCC 564 (“Sun Export case”), the chief reason for the reference to the Constitution Bench, as the initially assembled two-Judge and then a three-Judge Bench were of the view that the dicta in Sun Export Case (supra) required reconsideration. “21. In construing penal statutes and taxation statutes, the Court has to apply strict rule of interpretation. The penal statute which tends to deprive a person of right to life and liberty has to be given strict interpretation or else many innocent might become victims of discretionary decision making. Insofar as taxation statutes are concerned, Article 265 of the Constitution prohibits the State from extracting tax from the citizens without authority of law. It is axiomatic that taxation statute has to be interpreted strictly because State cannot at their whims and fancies burden the citizens without authority of law. In other words, when competent Legislature mandates taxing certain persons/certain objects in certain circumstances, it cannot be expanded/interpreted to include those, which were not intended by the Legislature. “23. Of course, some of the provisions of an exemption notification may be directory in nature and some are of mandatory in nature. A distinction between provisions of statute which are of substantive character and were built in with certain specific objectives of policy, on the one hand, and those which are merely procedural and technical in their nature, on the other, must be kept clearly distinguished. In Tata Iron and Steel Co. Ltd. (supra), this Court held that the principles as regard construction of an exemption notification are no longer res integra; whereas the eligibility clause in relation to an exemption notification is given strict meaning wherefor the notification has to be interpreted in terms of its language, once an assessee satisfies the eligibility clause, the exemption clause therein may be construed literally. An eligibility criteria, therefore, deserves a strict construction, although construction of a condition thereof may be given a liberal meaning if the same is directory in nature. The doctrine of substantial compliance is a judicial invention, equitable in nature, designed to avoid hardship in cases where a party does all that can reasonably expected of it, but failed or faulted in some minor or inconsequent aspects which cannot be described as the “essence” or the “substance” of the requirements. Like the concept of “reasonableness”, the acceptance or otherwise of a plea of “substantial compliance” depends upon the facts and circumstances of each case and the purpose and object to be achieved and the context of the prerequisites which are essential to achieve the object and purpose of the rule or the regulation. Such a defence cannot be pleaded if a clear statutory prerequisite which effectuates the object and the purpose of the statute has not been met. 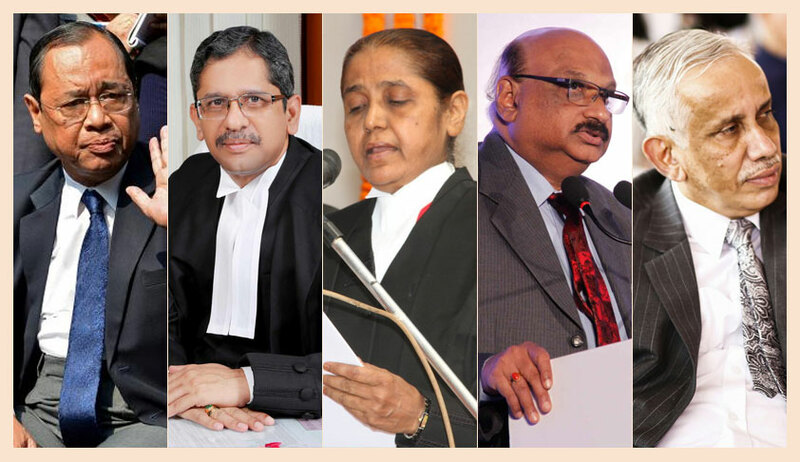 That the above discussed Constitution Bench judgment will have a significant impact on tax disputes with revenue authorities here onwards, including the outcome of pending litigation before various tax appellate fora, is a mild understatement. Arguably this decision will impact indirect tax matters (GST and Customs) more than direct tax (Income Tax), as exemption notifications/clauses are more frequently deployed or issued in the former, and much rests on the appropriate classification of goods/services for application of a suitable tax rate/duty or exemption therefrom. To make the situation worse still from the taxpayer’s perspective, is the confirmation that the burden to establish entitlement to any such exemption rests on the claimant/taxpayer, much like the burden on an accused of proving that the defence’s case falls within “General Exceptions” of the Indian Penal Code 1860 etc. under the Evidence Act 1872. Ambiguity in revenue instruments and documents is fertile ground for the tax litigator, as precedent tends to lean in the taxpayer’s favor in such circumstances. The present decision turns this advantage on its head, at least as far as exemption notification/clauses are involved, expected to send many back to the drawing board. Further, how this decision will be used/interpreted in other revenue challenges on ancillary issues will also require a close watch. Advantage revenue.